Greetings again from the darkness. Most of us know what to expect when we hear “it’s a Jason Statham movie”. However, when you add to that “written by two-time Oscar winner William Goldman”, it generates a bit more excitement and higher expectations than normal. This becomes slightly complicated when the Jason Statham part stretches his acting, but it’s the script that is essentially a letdown. 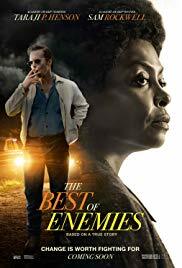 The film is a remake of the 1986 film HEAT with Burt Reynolds, and both movie versions are based on Goldman’s novel of that title. 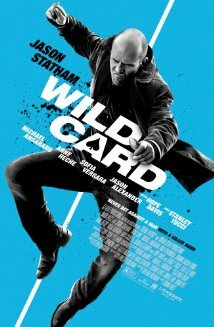 This time it’s Jason Statham as Las Vegas security expert Nick Wild, who possesses a particular set of skills … to go along with a drinking and gambling problem. Known for such films as CON AIR (1997), THE MECHANIC (also with Statham, 2011), and THE EXPENDABLES 2 (also with Statham, 2012), director Simon West is no stranger to action sequences and cool guys with baggage. There are a couple of outstanding fight scenes that capitalize on Nick Wild’s preference for non-traditional weapons, including a huge finale at The Silver Spoon Diner where he utilizes, well, silver spoons. Statham gets an opportunity to do something besides fight and drive, as he is cast as the emotionally handicapped warrior with a big heart. He protects his friends and does favors for those who are weaker. In fact, the banter between he and Michael Angarano (as Cyrus) is some of the best work of Statham’s career. The noir-speak dialogue allows Statham to have some fun with vocabulary words, but the script never really lets him connect with anyone other than Cyrus. Instead we get too many scenes of guzzling vodka and an extended blackjack scene that is so predictable, it’s actually kind of annoying to watch. The biggest downside to the film is the steady stream of recognizable and pretty well-known actors who pop up for only a brief scene or two. The list includes Sophia Vergara sporting a sweater that flaunts her assets, Max Casella as her conniving boyfriend, Jason Alexander as an office-sharing attorney, Hope Davis as a blackjack dealer, Dominik Garcia-Lorido (Andy Garcia’s daughter) as Nick’s call girl friend in need, Milo Ventimiglia as bad guy Danny DeMarco, Anne Heche as the supportive diner waitress, and a wonderful, but all too brief, Stanley Tucci as a hotel/casino owner modeled on a few real life owners and mobsters. Although the film skips the traditional Statham car chases and love-making, we do get many flashy shots of him driving a classic Pontiac GT. The old school Vegas setting is a welcome diversion from the glitzy new Vegas we more often see in movies. Keeping with the retro feel is Dean Martin crooning “Blue Christmas” in the opening moments, and other classic songs carefully coordinated throughout the story. Statham’s struggles with alcohol and gambling, and his stated intent to leave Vegas forever provide the film with an incredibly disjointed and lightweight story from the pen of someone as decorated as William Goldman. It’s nice to see Statham sport a bit of emotional depth, but the film likely doesn’t offer enough fight scenes for his true fans. The dark and humorous moments provide enough entertainment to encourage those fans to give it a shot, but please be careful with those spoons.